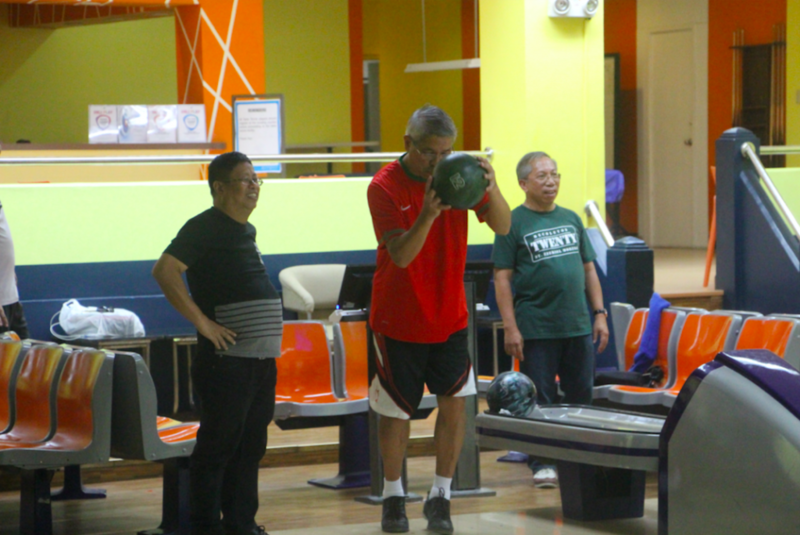 Mira Nila, QUEZON CITY—Part and parcel of “bene vivere” (“living well”) as consecrated persons is physical exercise such as playing sports, not only to improve physical fitness and overall health but also to develop fraternity and fellowship, particularly the virtue of esprit de corps. 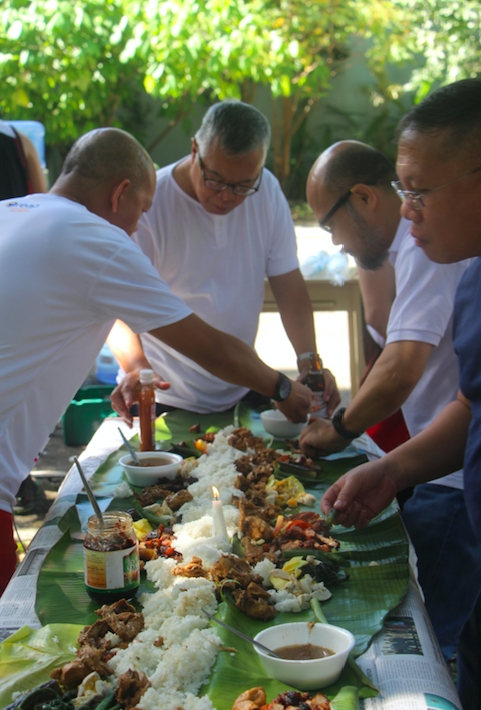 That was affirmed once more when the friars engaged themselves in a variety of sports activities during the mid-morning and early afternoon of November 26, Day 1 of the Province’s founding anniversary celebrations. The mid-morning schedule saw the basketball match, reminiscent of its classic seminary version, between the OAR friars of Luzon versus the joint forces of those from the Visayas, Taiwan, Mindanao, and Sierra Leone (in short, ViTaMinS) at the covered court of the Recoletos Formation Center (RFC) in Mira Nila. At the beginning of the game, no one could really guess who would make it better after the six 10-minute sixths since both sides were equipped with an excellent manpower. 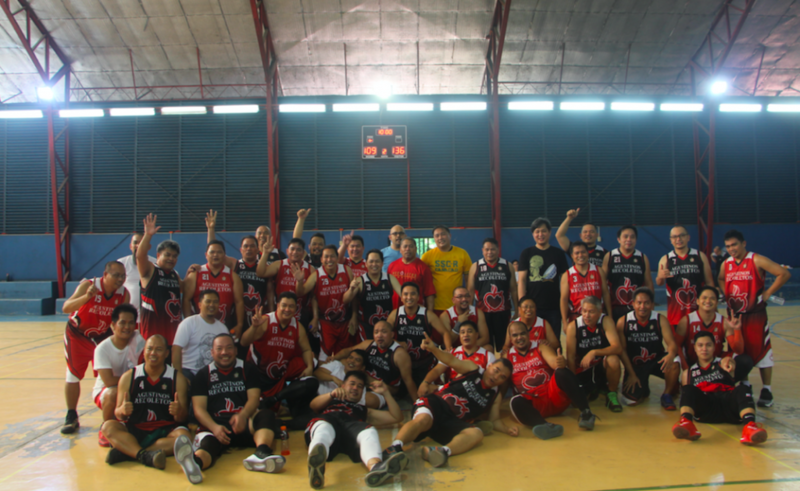 Luzon players, many of whom composed the team that outdueled the defending champion representing the Archdiocese of Manila in a recently-held “inter-clergy + OAR” basketball tournament in celebration of the Year of the Clergy and Consecrated Persons, came out from their lair with oozing confidence. On the other side were the equally self-assured powerhouse of ViTaMinS with “imports” who speak Mandarin and Krio. They might not have any trophy to crow about but they were a squad to beat (since there was no other! )—all in the name not necessarily of securing a big win but surely of fostering the spirit of “anima una et cor unum in Deum” (“one mind and one heart intent upon God”). 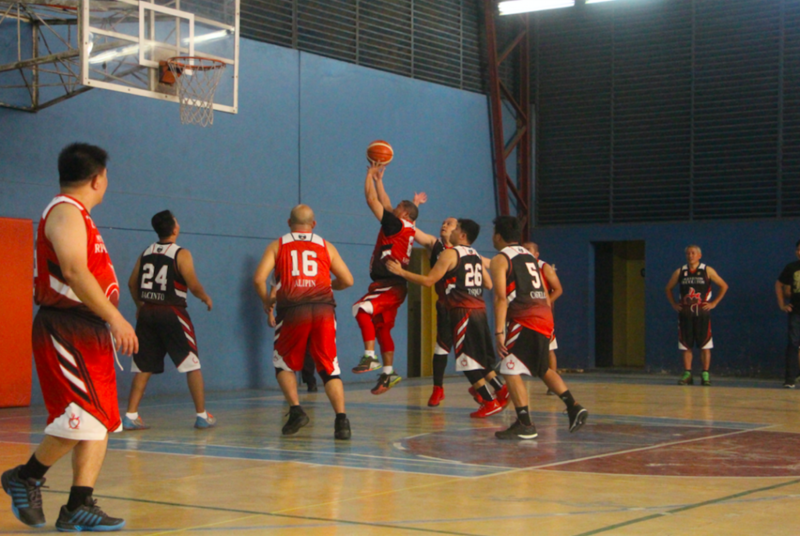 To prove it, the first in the series of sixths jolted a bit the title-holders, 25-24, in favor of the heterogeneous team. Although the Prior Provincial, the eldest in the court but arguably a key player of Luzon, gave the historic first shot, his team was practically tailing behind the challengers until the score tied at 19 each, with one minute and 40 seconds remaining. The second sixth was a quick injection of fresh blood, either to re-energize the system and recover from an early deficit or to keep up and widen the lead. 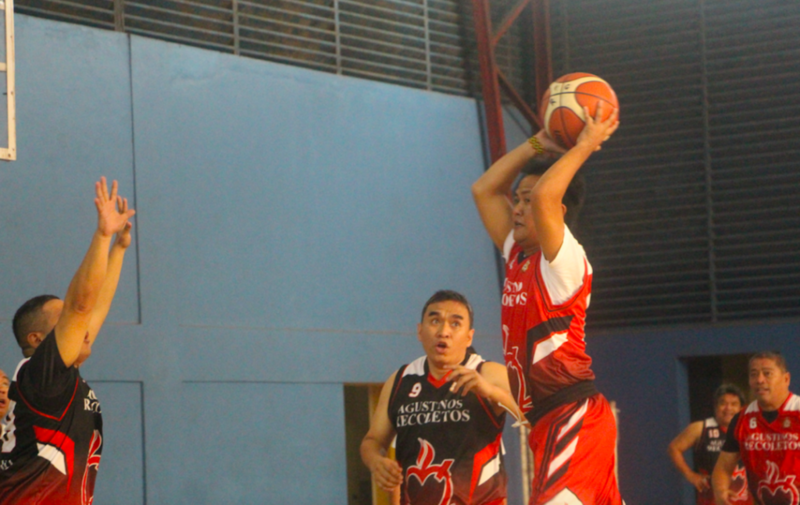 But Luzon’s burning desire to take over paid off with a good 12-point lead, 41-53. Within three minutes into the fifth sixth, Luzon expectedly was the first to rake a three-digit score, 86-101, compliments of Fray Palagtiosa’s three-pointer. But Fray Cepe’s 16-point contributions into the coffer pushed Luzon to retrieve its lead by gaining 15 points, thus scoring 102-117 on the board when the whistle sounded to close the penultimate game. When the last sixth unfolded, which was the funniest ever among the episodes, ViTaMinS released its new lineup of players against the formidable team of Luzon. But the comedic chain of assists, passes and turnovers turned the gym into a pandemonium of hollering, cheering, guffawing, and roaring crowd that spontaneously scattered towards the court. 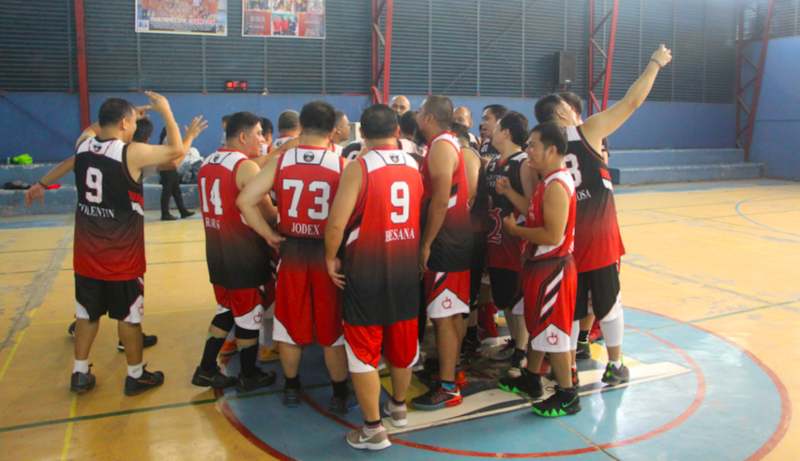 Upon resumption, the game continued until, despite the fierce efforts of the “multi-nationals,” Luzon prevailed with the final score of 109-136. 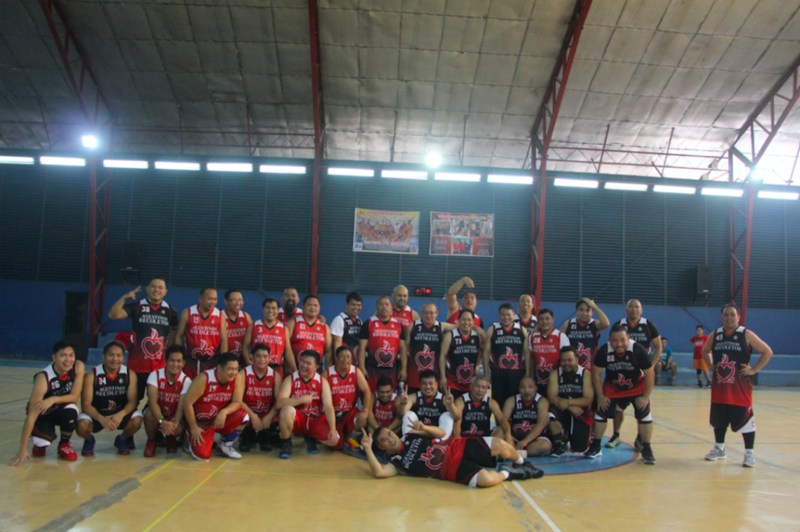 Although the wide margin of 25 points symbolically represents the silver anniversary towards which the Province is marching on, at the end of the day, the game was still more about fraternity, friendship, fun, among other values. 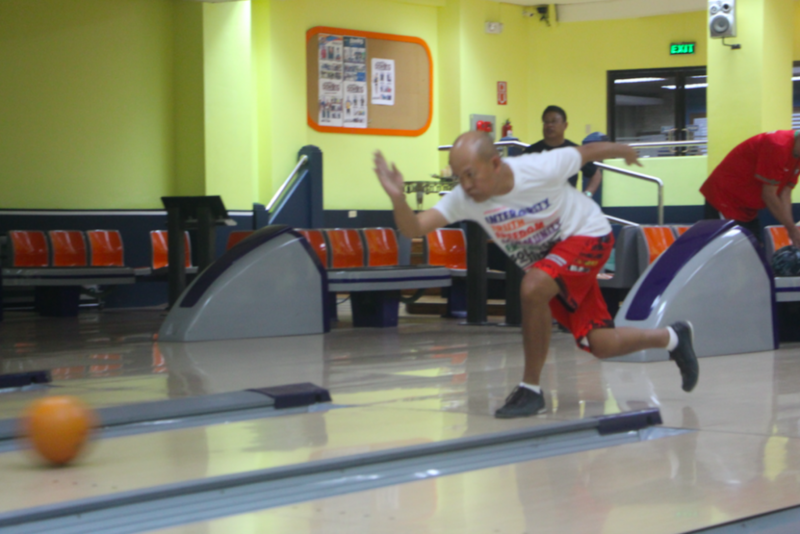 That’s “tatak-Rekoleto” even in sports! 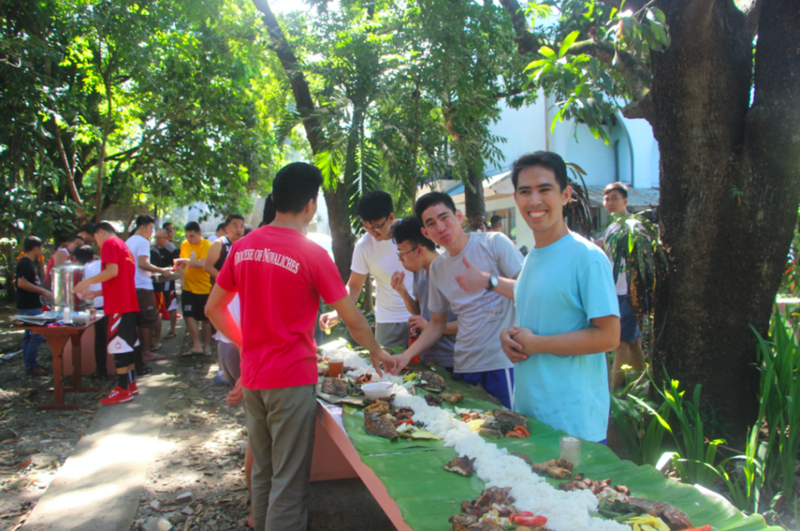 Shortly after the game, a boodle fight for lunch ensued. 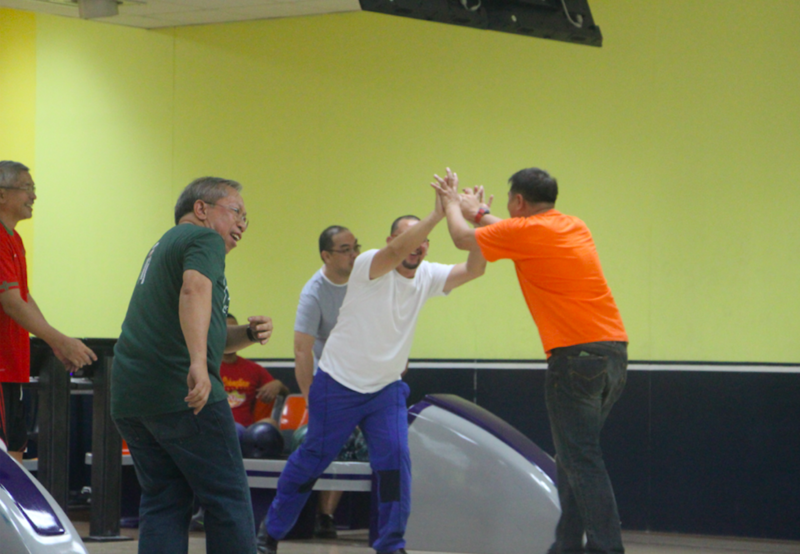 In the afternoon, the friars continued to bear witness to their brotherhood and camaraderie as they expressed themselves through other sports events at the Celebrity Sports Plaza (CSP) in Diliman, QuezonCity. At 1:15 PM, cheers and laughters reverberated within the complex building as the Fathers, Religious Brothers and coristas (theology seminarians) commenced their games. It was a beautiful sight to behold because, while in the morning basketball players were grouped according to their geographical area of assignment, in the afternoon they played side by side with one another. 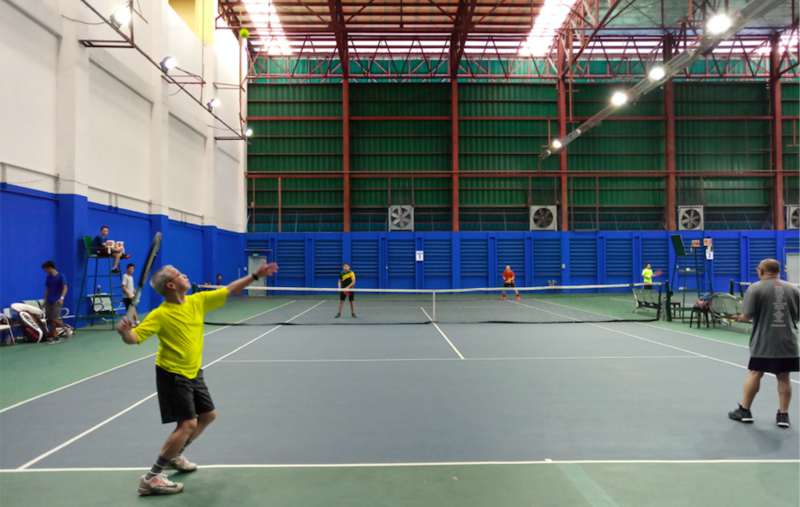 Some of the friars played lawn tennis, others did bowling, while several others went for badminton. 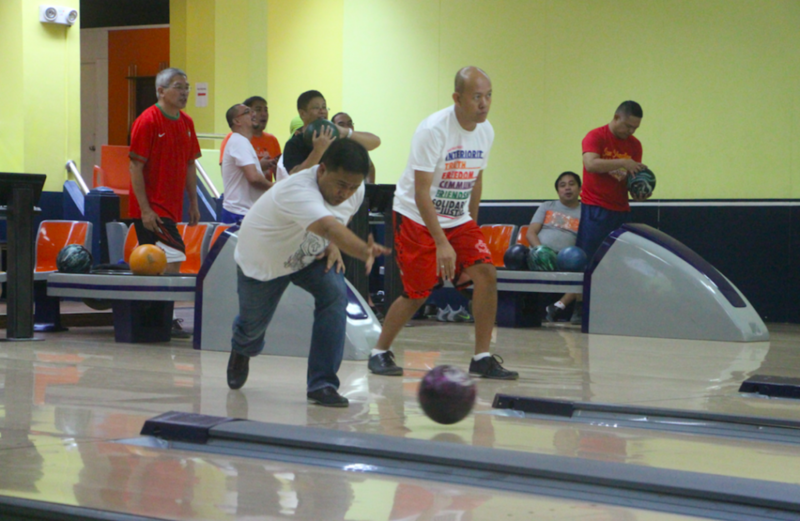 Due to CSP’s accommodation capacity, everyone had all the opportunity to play the game of his choice. After the brothers enjoyed each other’s company, the games came to an end at thirty minutes past four. No winners were proclaimed after the game, but the quality time they spent together was indubitably priceless. When everything was set, they travelled back to the Recoletos Formation Center for another set of activities.